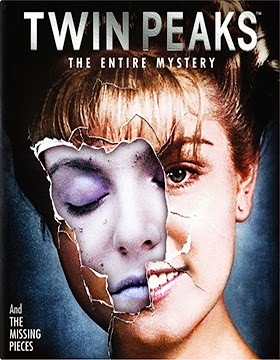 Paramount Home Media Distribution, in conjunction with CBS Home Entertainment, announced this past week that auteur filmmaker David Lynch’s landmark 1990/1991 television series, Twin Peaks and the 1992 theatrical follow-up, Twin Peaks: Fire Walk With Me will be getting a Blu-ray collection push on July 29. The ten-disc/30-episode whopper of a box set is titled Twin Peaks: The Entire Mystery and features a full 90 minutes of deleted scenes and alternate scenes from Twin Peaks: Fire Walk With Me. Other bonus nuggets include two versions of the Twin Peaks pilot, the featurettes titled “A Slice of Lynch: Uncut,” “The Glastonbury Archives, “17 Pieces of Pie: Shooting at the Mar T (AKA RR) Diner,” plus the four-part making-of documentary, “Secrets from Another Place: Creating Twin Peaks,” deleted scenes from the television series and “Log Lady” episode introductions. In other release news this week, Aug. 5 will mark the arrival of the next DVD collection of Perry Mason feature-length mysteries. Six films are included in the three-disc set titled Perry Mason Movie Collection, Volume Three. A complete listing of the six films included in the collection is not available at this time. Lastly, July 8 is the street date for DVD and Blu-ray/DVD Combo Pack editions of Jackass Presents: Bad Grandpa .5. This all-new feature-length follow up to 2013 theatrical hit showcases all new adventures featuring (read that as: pranks) Johnny Knoxville as Irving “Bad Grandpa” Zisman and Jackson Nicoll as his adorable grandson, Billy. The Blu-ray SKU features an additional 40 minutes of outtakes and interviews with Johnny Knoxville, Spike Jonze and director Jeff Tremaine … pranks gone wrong are revealed! Warner Home Video continues to mine its world-renown film library with new release selections that were added to the schedule this past week for both the DVD and Blu-ray formats. On the DVD release front, a trio of vault treasure debuts have been added to the June 3 release calendar. 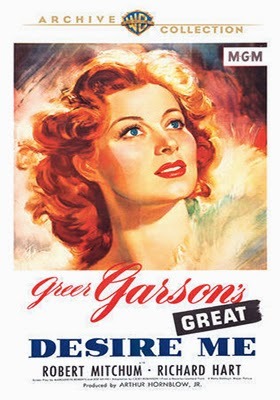 Greer Garson was nominated on seven separate occasions in the Best Actress category (with a win for Mrs. Miniver in 1942) and her fans will have cause for celebration with the DVD debut of her 1947 release of Desire Me. This film had a somewhat checkered history having passed through the hands of not one, but four directors, including George Cukor and Mervyn LeRoy, with no one in the end listed as the film’s Director (a Hollywood rarity). Robert Mitchum and Richard Hart co-star, and, of note, Hart and Garson were nearly killed filming a scene on the Monterey coast when a freak wave snatched them off the rocks and hurled them into the Pacific Ocean. 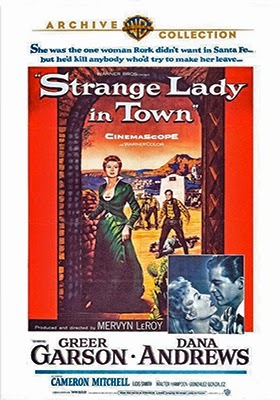 Also on June 3 release calendar is Greer Garson’s 1955 film release of Strange Lady in Town. Directed by Mervyn LeRoy and co-starring Dana Andrews, Garson plays a well-educated Bostonian doctor who heads to Santa Fe, New Mexico (actually filmed in Tucson) to take up practice in the 1870s and soon butts heads with the resident doctor (Andrews), but romance blooms. During the course of the action she does manage to cross paths with both Billy the Kid (played by Nick Adams) and Governor Lew Wallace (Ralph Moody). Also heading to DVD on June 3 is the 1960 Clark Gable/Sophia Loren romantic comedy, It Started in Naples. 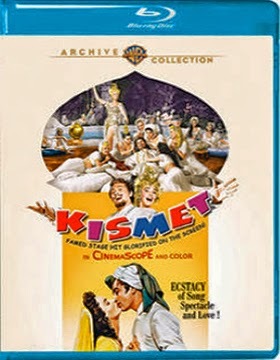 On the Blu-ray release front look for director Vincente Minnelli’s 1955 musical Kismet, starring Howard Keel and Ann Blyth, to be available in hi-def on June 10. Director Frank Marshall’s 1995 film adaptation of Michael Crichton’s sci-fi/adventure novel, Congo, teaming Laura Linney with Dylan Walsh and co-starring Ernie Hudson and Tim Curry, but the scene-stealing star of the movie is Amy the talking gorilla (voiced by Shayna Fox with live-action stunt and costume work by Misty Rosas). The forbidden tropical paradise of Havana is explored in director Antonio Hens’ The Last Match, his long-await follow-up to Clandestinos, will be making its domestic DVD debut from Canteen Outlaws on July 8. In the socialist utopia of Cuba we are introduced to Reiner (Reinier Diaz), married to Lludimila (Jenifer Rodríguez), but who brings in extra cash by prostituting himself to cash-flush tourists. His mother-in-law, Teresa (Mirta Ibarra), views his activities as an escape route — her grand plan is for him to hook a Spaniard, marry him in Spain, and then send for his family (that would be her and her daughter). Her plan might not be grounded in reality, but desperate times can sometimes call for “creative” solutions. Nearby is Yosvani (Milton Garcia), a kept man living with his fiancée and his would-be father-in-law, Silvano (Luis Alberto Garcia), a “businessman” of sorts. He’s not happy with the arrangement, but crossing Silvano could be a deadly decision. His business dealings are definitely outside the law. What Reiner and Yosvani share in common is soccer, where they meet at the local club … and things develop between them that will both challenge and change their lives. 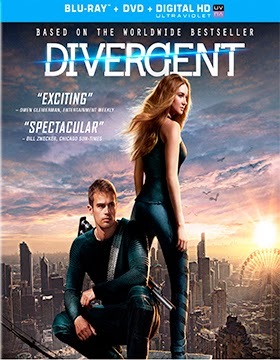 Lionsgate Home Entertainment has targeted Aug. 5 as the street date for the Summit Entertainment production of director Neil Burger’s film adaptation of Veronica Roth’s post-apocalyptic novel, Divergent, the first in a planned series of film adaptions of her trilogy of books (Insurgent is slated for release in March of 2015, while Allegiant will be produced as a two-parter in 2016 and 2017). Planned for release are Blu-ray/DVD Combo Pack and DVD editions (featuring UltraViolet) … the ARR comes in at 137 days. Ticket sales currently stand at $146.8 million. While the results were good — not that of blockbuster status — the production team going forward must find better ways to exploit the “uniqueness” of the series if it is not going to end up being labeled as just another Hunger Games wannabe. Word is that director Robert Schwentke (Flightplan, RED, The Time Traveler's Wife and the failed R.I.P.D. are among his film credits) has been recruited to replace Burger on the sequel. Only time will tell how that works out. Bonus features include two commentary options — one featuring director Neil Burger (Limitless, The Illusionist, etc.) 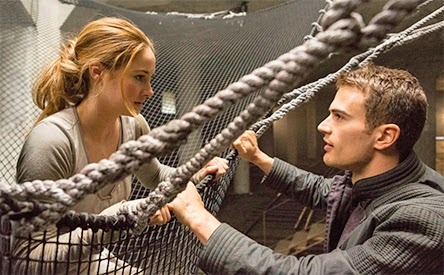 and the second with Douglas Wick (Oscar-winner for Gladiator) and Lucy Fisher (co-producer with Wick on such films as The Great Gatsby, Memoirs of a Geisha and Jarhead) — the making-of featurette titled “Bringing Divergent to Life,” a second featurette titled “Faction Before Blood” and deleted scenes. While he has not officially drifted into Steven Segal territory you have to say that Arnold Schwarzenegger is getting damn close with his latest box office outing of just $10.5 million. 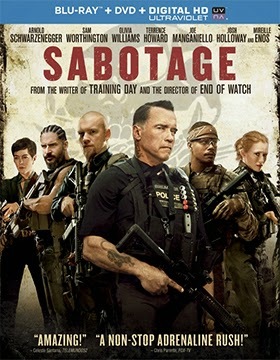 Universal Studios Home Entertainment has placed director David Ayer’s Sabotage on its July 22 release calendar with DVD and Blu-ray/DVD Combo Pack (featuring UltraViolet) product offerings. The ARR is 116 days. Actually, there’s nothing wrong with the film — it’s a solid action thriller and it delivers exactly what it promises — but Schwarzenegger just isn’t the box office draw that he used to be! 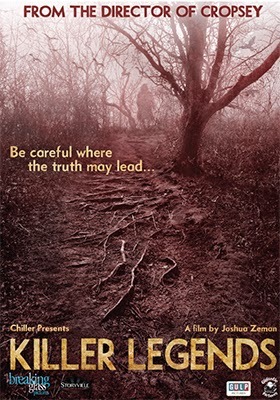 Breaking Glass Pictures announced this past week that July 1 will be the DVD debut date for writer/director Joshua Zeman’s documentary-like look at urban horror legends, Killer Legends. Killer Legends is an interesting blend of horror (some nice chills) and what plays out as something similar to four episodes of a “truth or fiction” reality television series. Target audience is definitely genre fans … bonus segments are included with each “urban legend” sequence. On Aug. 12 Oscilloscope Laboratories will release on DVD documentary filmmaker Jason Miller’s The Past is a Grotesque Animal, a very personal look at the life and artistry of songwriter, musician and performance artist Kevin Barnes. Founder and frontman of the eclectic rock bank Of Montreal (aka: “of Montreal”), Barnes is a difficult individual to pin down. Since 1997 a dozen albums have been released and he’s built a core following … it took seven years from start-to-finish for Miller to construct this documentary, and even then fans will come away with more questions than answers. Friends, his parents and band mates are interviewed and some of Barnes elaborate stage productions (and personas) are presented here. A 30-market theatrical break is planned for mid-June, which should further build awareness for the Aug. 12 DVD rollout. 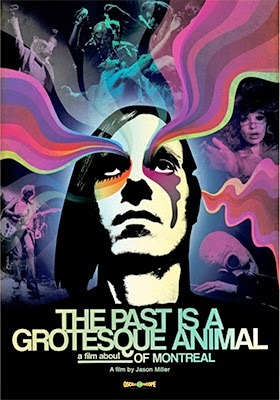 Bonus features with the DVD release of The Past is a Grotesque Animal include a 16-page “Song Dynasties” booklet.